Mark Warner calls Twitter presentation to Intel panel "deeply disappointing"
The top Democrat on the Senate Intelligence Committee said Thursday that he found the presentation made by Twitter earlier in the day to be "deeply disappointing." "The presentation that the Twitter team made to the Senate Intel staff today was deeply disappointing," Sen. Mark Warner, D-Virginia, told reporters Thursday. "The notion that their work was basically derivative, based upon accounts that Facebook had identified, showed [an] enormous lack of understanding from the Twitter team of how serious this issue is, the threat it poses to democratic institutions, and again begs many more questions than they offered." Representatives from the social media giant met with the committee Thursday because lawmakers are investigating the spread of fake news stories and propaganda during the election as part of their probe into Russian interference. Warner had said he wanted to hear from Twitter to learn more about the use of fake accounts and bot networks to spread misinformation. 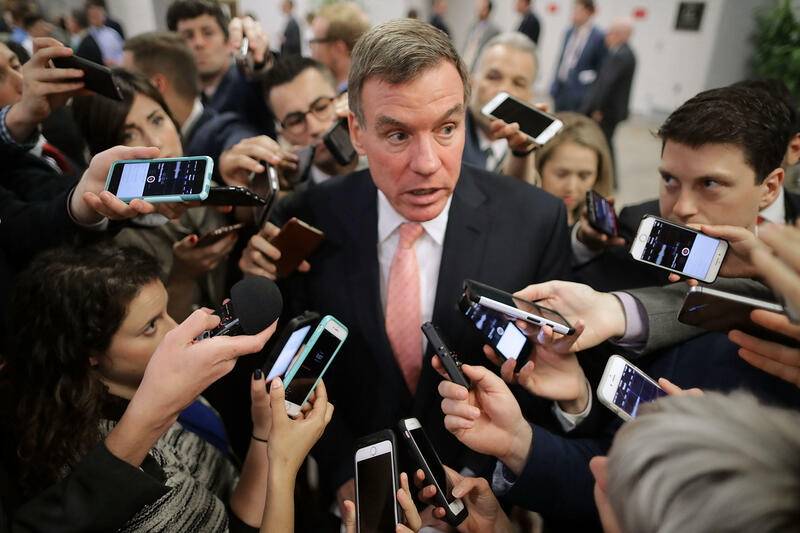 Warner said Twitter's response was "frankly inadequate on almost every level" and said that Twitter must explain to the public what happened during the 2016 election. He said that the American public should have the ability to know when they're seeing a political ad, who's behind it and if it's sponsored by foreign agents on social media platforms. "If there are ads that appear, pop up high on your Twitter newsfeed, Americans have the right to know if that's being generated by interests from Americans or generated by interests from, by activities of foreign powers, so again, [I'm] more than a little surprised, in light of all of the press interest in this subject over the last few week, how inadequate Twitter's presentation was today," Warner said. The House and Senate Intelligence Committees have invited Twitter, Facebook and Alphabet, which owns Google, to testify in public hearings.